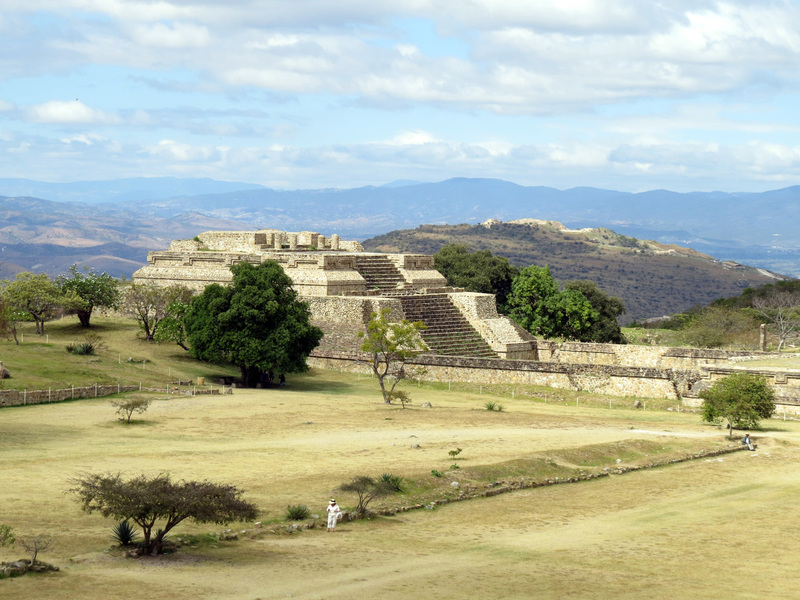 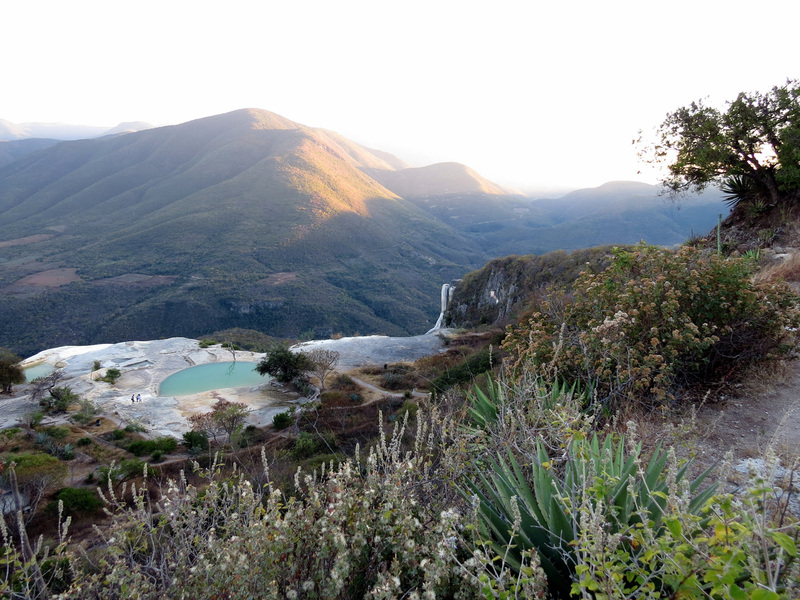 Visited Hierve de Agua (Spanish for “the water boils”) in southern Mexico in the state of Oaxaca. You think you see waterfalls, yet they are made of calcium and other minerals. 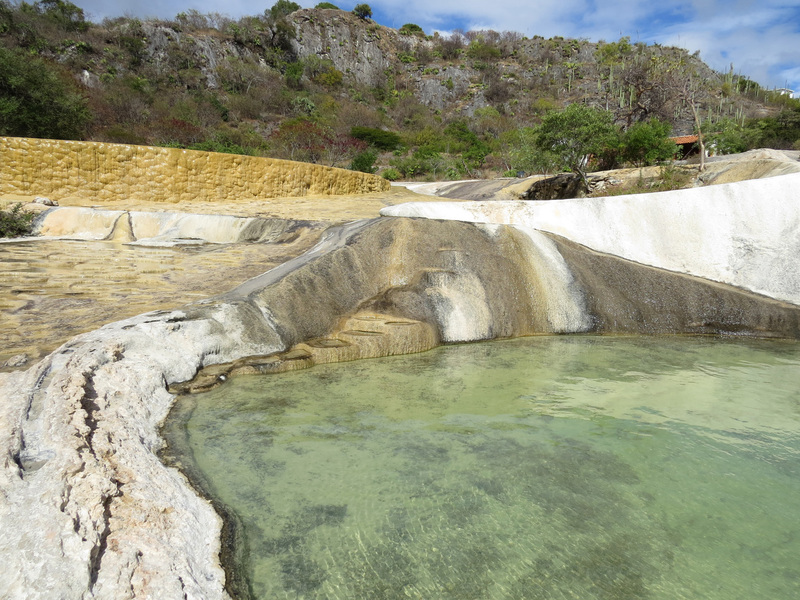 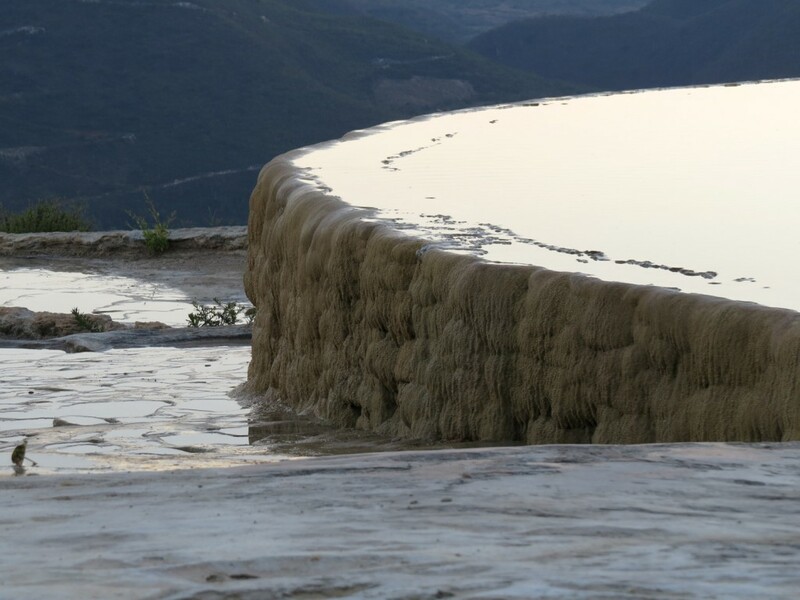 The pools are created from cool spring water that is saturated with calcium carbonate. 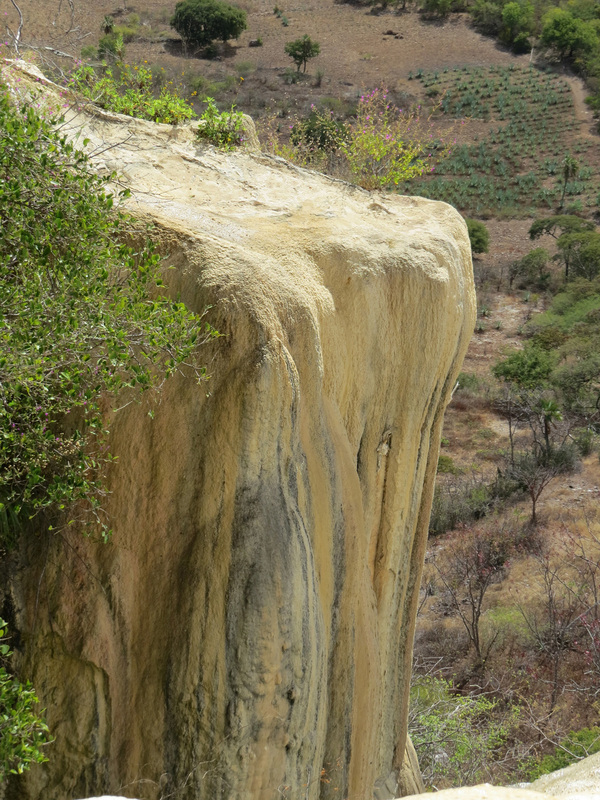 As the water flows over the cliffs, excess minerals are deposited in the same manner that stalactites are formed in caves. 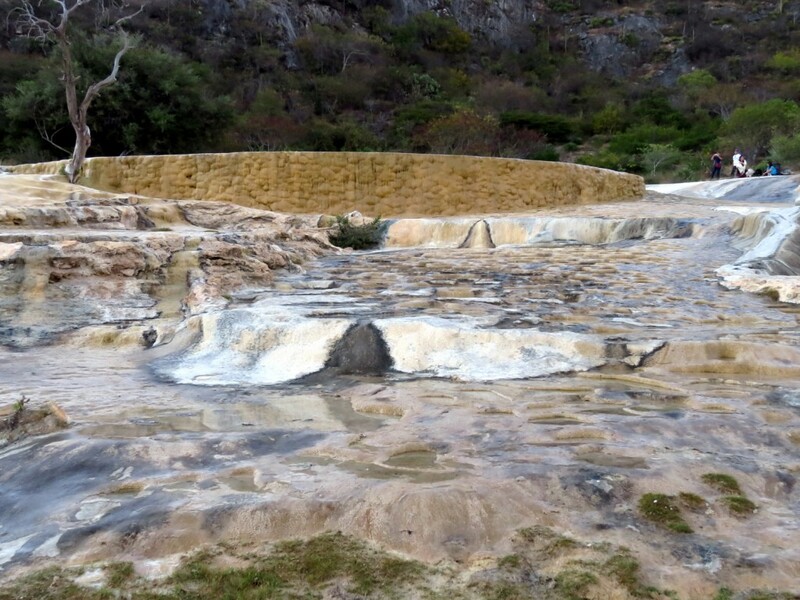 I liked it so much I went twice.